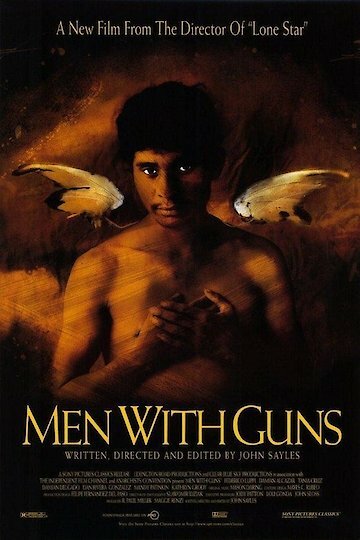 Men With Guns is a movie drama. This is a path of one man's awakening to political realities. A doctor's wife dies and he decides to make a large change in his life. Against his family's advice he closes out his life to go visit former students. Many of his students work in isolated and impoverished villages. The doctor's political awakening comes when he finds one of his students has been killed by the army for no reason. He has already lost his wife and this doctor feels he has nothing left to lose. He will hunt for the people who killed his student despite the consequences. Men with Guns is currently available to watch and stream, download on demand at Amazon Prime online.